Incoming music director Stéphane Denève will begin his first season at the helm of St. Louis Symphony Orchestra. St. Louis Symphony Orchestra’s first season under the artistic leadership of incoming music director Stéphane Denève will include two world premieres, a selection of French composers and artists, and a world-renowned artist-in-residence. The orchestra announced its 2019-2020 season Tuesday. Denève was announced in 2017 as the orchestra’s next music director, following the departure of David Robertson at the end of last season. Denève has been a familiar presence at the orchestra as a guest conductor, having led nine concert programs, with three more to come later this season. Yet his first as the artistic leader of the organization marks a milestone, said Erik Finley, the orchestra’s vice president for artistic and operations. “It really offers the first opportunity for Stéphane to begin to shape the orchestra artistically. So really the relationship begins to take form,” Finley said. 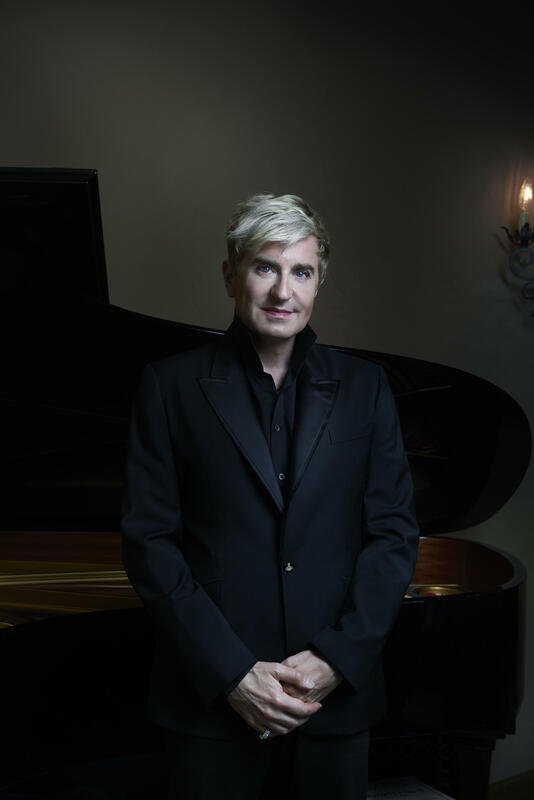 World-renowned pianist Jean-Yves Thibaudet will be St. Louis Symphony Orchestra's first artist-in-residence. Thibaudet will appear in several programs, including one featuring selections from a “symphonic play” featuring the work of Ravel. The season will also include a tribute to former SLSO music director Leonard Slatkin on the occasion of his 75th birthday. Conductor Stéphane Denève is the music director designate of the St. Louis Symphony Orchestra (SLSO), succeeding David Robertson as the orchestra's 13th music director in the 2019-20 season. Denève is currently the music director and chief conductor of the Brussels Philharmonic Orchestra and the principal guest conductor of the Philadelphia Orchestra. On Monday’s St. Louis on the Air, host Don Marsh talked with Denève about his career and his upcoming role in St. Louis. Leonard Slatkin spent 27 years with the St. Louis Symphony Orchestra, 17 of them as music director. When he left that post in 1996 the SLSO gave him the title Conductor Laureate. Since leaving St. Louis in 1996, he has been music director of the National Symphony Orchestra, the Orchestre National de Lyon and the Detroit Symphony Orchestra, a post he will give up at the end of the current season. Opening night at the symphony has a special buzz and a once-a-year chance for the orchestra's artistic leader to welcome back the musicians and the audience. If an orchestra happens to be between leaders, the occasion also offers a plum spot on the calendar to invite a guest-star conductor with a pedigree. St. Louis Symphony Orchestra took a different route this year. With the seat of music director technically unfilled — French conductor Stéphane Denève takes over that job next season — the orchestra’s leadership turned to the rising star in its ranks. Gemma New, 31, led the orchestra’s annual kickoff concert in Forest Park and then held onto the baton for opening night at Powell Hall. She made history on two fronts: as the first woman to lead SLSO’s opening night concert, and as the first resident conductor to do so.